At the intersection of basic human needs and scientific innovation is hope. How do women living on less than $2 a day obtain the solar cooking knowledge and tools that work best for them in their circumstances? 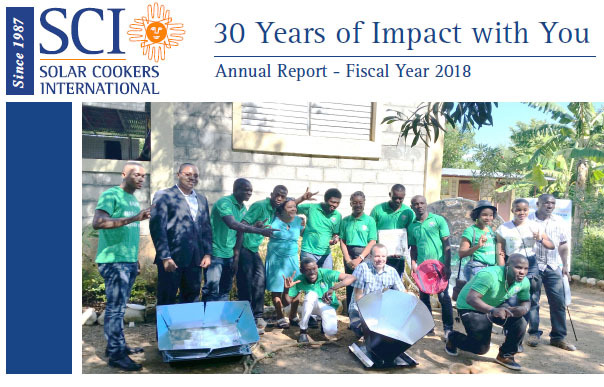 Solar Cookers International (SCI) helps women around the world, especially those whose fuel sources, environments, and income are impacted by a rapidly changing world. SCI helps provide alternatives for women who otherwise few choices but to cook meals over fires or burn fossil fuels. These cooking practices cause health problems and contribute to deforestation. Because solar cooking consumes no natural resources and creates no harmful smoke or greenhouse gases, it can greatly improve the quality of life for women and their families, as well as the environments in which they live. As President of SCI’s Board of Directors, I want to express my sincere thanks to all of our donors, and especially to the members of the President’s Circle and Legacy Circle. Your generous contributions make good work happen all around the world. SCI works hard to earn and keep your trust. Click here to download a PDF of SCI's most recent independent audit. Click here to download a PDF of SCI's most recent filing for FY 2017-2018.